Parrikar's body has been kept at the state BJP office in Panaji and will be taken to Kala Academy for public viewing. PM Modi is expected to arrive in Goa on Monday afternoon. 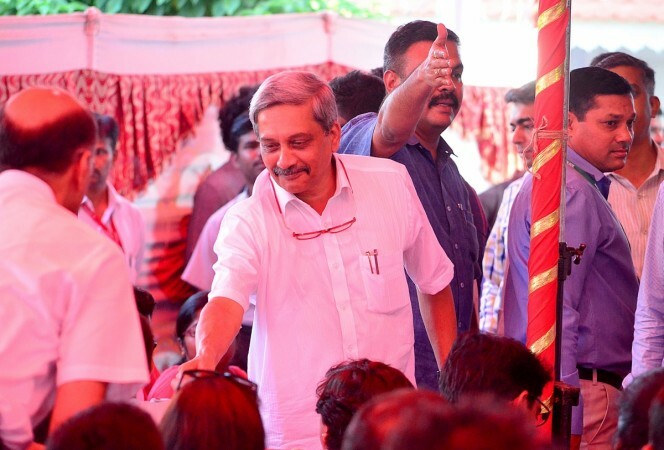 Four-time Goa Chief Minister Manohar Parrikar passed away on Sunday after a long battle with pancreatic cancer. The 63-year-old was a senior Bharatiya Janata Party (BJP) leader. 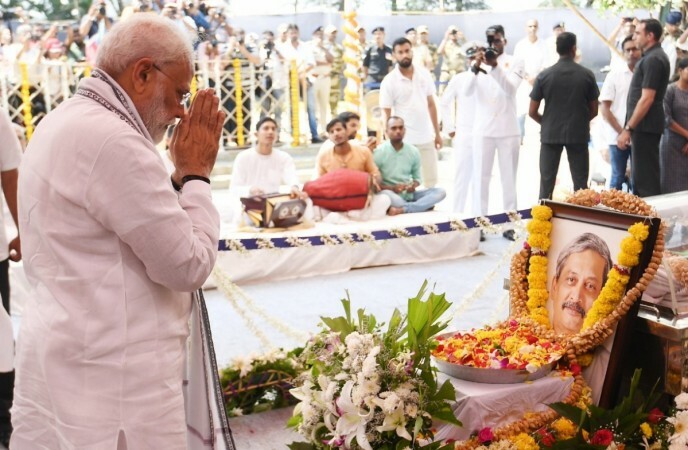 The Centre has announced national mourning on Monday and Parrikar will be accorded with a state funeral with military honours. The final rites will be conducted at 4 pm at Miramar beach. The Goa government has announced seven-day mourning. All the educational institutions will remain shut today and all the exams have been postponed. Parrikar's body has been kept at the state BJP office in Panaji and will be taken to Kala Academy for public viewing. Prime Minister Narendra Modi is expected to arrive in Goa on Monday afternoon.